Located at Willard and Carl Street, this unique two bedroom two bath apartment is in Cole Valley which ahs dozens of restaurants and cafes. The apartment is well lit with a reading area, full living room and dining room with a fire place and hardwood floors. Visitors are a close walk to Golden Gate Park, Haigh Ashbury and The Castro neighborhoods! SOMA/North Beach The property is situated next to North Beach and the Financial District and is just blocks from the Bay Bridge, Highways 101, 280, BART, The Embarcadero and Caltrain. 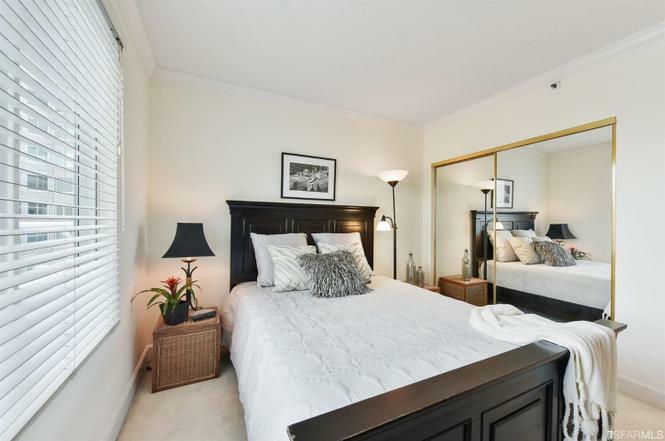 Its prime location provides easy access to downtown, East Bay, and the Peninsula. Many of San Francisco’s top restaurants, Union Square, AT&T Park, and the Ferry Building are mere blocks away. Located at Parc Telegraph, this unit has a beautiful floor plan for a one bedroom one bath with all of the amenities including a 24 hour security/doorman, fitness center, club room with kitchen and bar area, and a guest suite. This apartment is in a great neighborhood, nestled against historic Telegraph Hill in a sunbelt. Everything a visitor needs is within walking distance including grocery stores, coffee shops, dry cleaners. The apartment is spacious and comfortable with marble counter tops in the bathrooms. Visitors are in the heart of San Francisco in true city life close to public transport, Bay Bridge, Financial District, Union Square, North Beach and more! This is a great neighborhood steeped in Itialian heritage, drawing locals and tourists to its checked tablecloth trattorias, coffee shops and retro-flavored bars. You are close to Telegraph Hill where you can hike the Filbert Steps to the Coit Tower with panoramic views.